Winter months bring many cold days and nights for those that are outdoors or on the road. With constant temperatures reaching below freezing you may find that your car's heater is just not working at its best. This could be because temperatures are just too low or because your heater has become faulty, but either way driving in a vehicle that is not heated properly can be a miserable experience. Along with cold temperatures, the winter also brings a lot of snowy and icy conditions that cause us to spend a lot of time scraping the windows of our car. Waiting for our car's defroster to melt the ice and snow can be very time consuming and not always convenient. If a car's heater is not working correctly it can cause serious problems for those living in a climate that requires a lot of heat, both for comfort of the driver and passengers as well as for good visibility of the road. Having heat also means having a properly working defroster. Without heat your defroster will not be able to keep your windows clear and you will not be able to see to drive safely. When the winter months strike and temperatures reach their lowest it may be time to think about adding an extra heat source to your car. A 12 volt car heater may be the answer. 12 volt car heaters may not be able to reach the same hot temperatures as a regular car heater can however they can offer enough heat to make driving more comfortable or they heat the car until the car's heater is warm enough to blow hot air through the vents. These should never be purchased with the intention of heating the entire vehicle in place of the car's regular heating system. When temperatures reach below freezing, a 12 volt car heater may be a great additional heat source or they may be used in the event of an emergency. One of the best features of a 12 volt car heater is that it heats up almost instantly. This can be extremely beneficial when you need to get warm quickly. 12 volt car heaters plug directly in your car's lighter socket. They run off of your car's battery and are usually small enough to fit in any area of the car. Many people like to use 12 volt car heaters as a quick way to defrost their car windows instead of waiting for the car to warm up enough to melt the ice and snow. Just get in the car, turn the engine on, plug in the heater and place it in the dash board. Before long you will have a clean and clear windshield. 12 volt car heaters are usually small and some can even be clipped onto a visor easily. When picking which 12 volt car heater to purchase you may want to take a look at all the different styles to determine which style you like best. Make sure that you choose a model that stays cool on the outside of the unit to prevent burns and has a good reputation for heating and reliability. Having a 12 volt car heater can also be great for using on boats or RV's as well. As long as there is a 12 volt adapter available this heater can be used. It may also be great for those with small children that need an extra heat source in the back of the car. As you can see, having a 12 volt car heater can come in handy during the coldest months of the year. 12 volt car batteries are an inexpensive way to add extra heat and comfort to your driving experience all winter long. Hi, I own a Kia Carens 2 litre diesel on a 03 plate. Have found the heater totally inadequate in this cold spell. The air con is useless and I have had to leave the stat on 32 degrees.buy the time I get to work my feet are frozen! Can any one help? 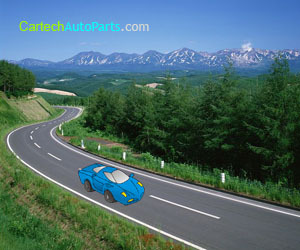 © Copyright Cartech Auto Parts 2008 - 2019. All rights reserved.